Microsoft Windows Device Recovery Tool version 3.9 is now available for download. The new version comes with support for third-party OEMs Windows 10 Mobile phones. The new version 3.9 is a mandatory update and includes a minor update to HoloLens Recovery also. The latest recovery tool also added support for 3rd party devices like KM, DIGINNOS, INVERSENET, BLU, XOLO, MICROMAX, JENESIS, MCJ and FREETEL. 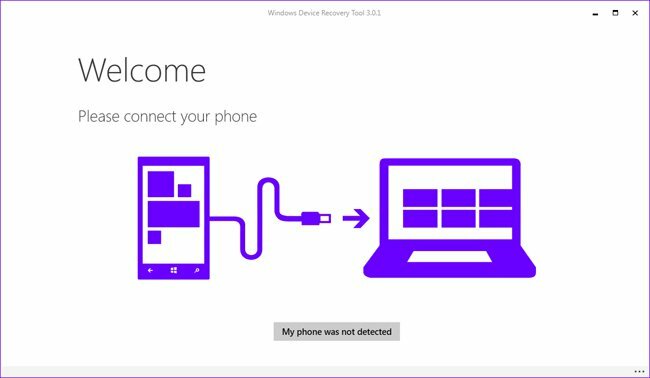 You can Download Windows Device Recovery Tool 3.9 from here.